The obvious pinnacle. There is a rap station located on top of the south side. 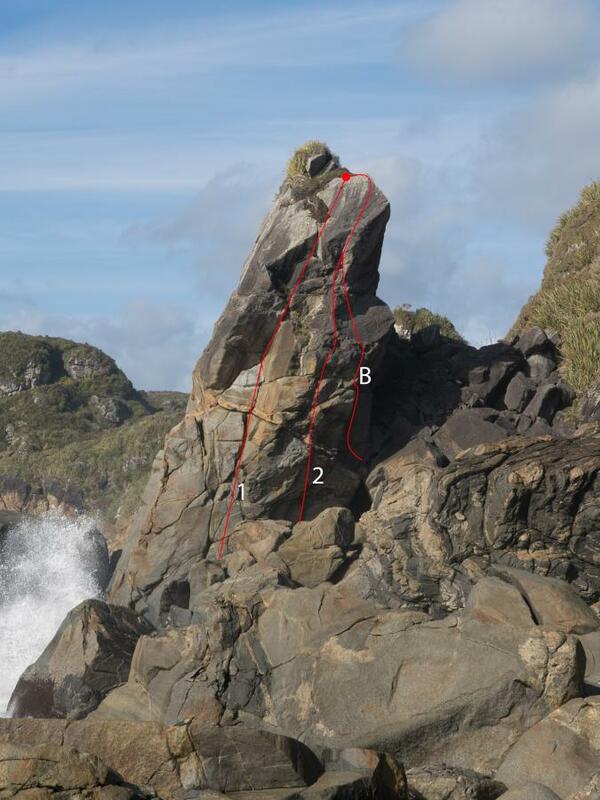 The first crag after popping out of the harakeke maze. Follow the major corner system to the top. The bolted overhang to hanging corner.